You can rely on our highly skilled and trained technicians for the thorough and efficient emergency septic pumping & cleaning services. 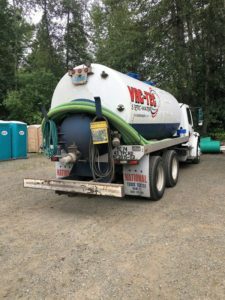 We realize the fact that any septic system related problem does not occur overnight and therefore, we come prepared to handle all emergency septic repair issues. There are several indications that show that the septic tank is not working properly. If the septic is overflowing continuously, it could mean that the pump alarm has broken or has been damaged due to which it is unable to give the signals. Or there could be broken sewer lines that cause the sewer water to drain elsewhere. Our technicians will rush to the spot with all the required tools and equipment. They will conduct a thorough search to know the cause of the problem. Once the problem is known, they will provide valid solutions for the problem. Whether the septic pump requires repair or needs replacement, our technicians will handle them all. We are the perfect company for emergency septic repair and emergency septic pumping & cleaning in Graham as we provide all these services. 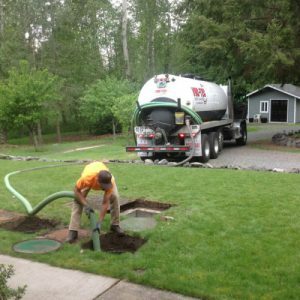 Feel free to call Vac-Tec LLC at (253) 777-4887 for any septic related problems in Graham.